BOLD Office Solutions offers a wide range of table solutions from the boardroom to the break room and all areas in between, in all styles, all colors, materials and attractive finishes. Tables must adapt quickly to change, giving you the support you need when you need it. We have options that offer mobility, nesting capability, and height adjustment for multi-purpose rooms. 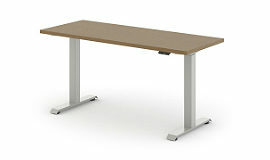 We also offer flexible and functional wood conference tables that conveniently fold and fit through any standard doorway. Whatever your needs are, we can outfit your entire Conference Room, Dining area, or personal meeting space with style! Customize your space with a variety of tops, bases, and edge profiles. Coordinate with any look – from modern to classic. Technology can be managed with retractable power/data centers and in-base cord management. Conference Traditional, contemporary, and everything in between with all the integrated technology today’s workplace demands. Training Tables with nesting, integrated technology, and many other features to get the most out of your meeting and training rooms. 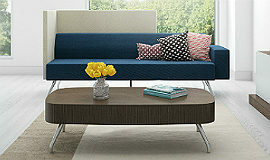 Occasional Fun and functional tables to liven up your reception and waiting areas as well as private offices. 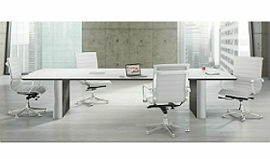 Height Adjustable Sit-to-stand tables allow you the flexibility being able to sit or stand at the same work surface. Collaborative Whether the need calls for impromptu meetings or creative collaboration, these tables give you the area to perform and define your workplace style. 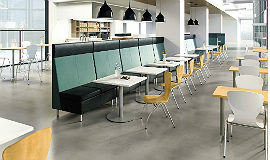 Dining and Breakroom Counter, cafe, and bar height tables for your office’s dining areas. Options available for every budget.